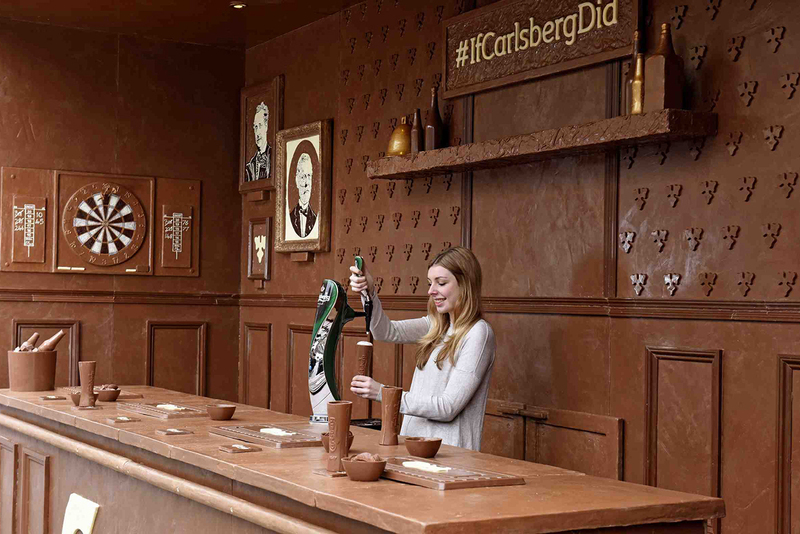 Carlsberg in the lead up to Easter created a pop-up bar in London made entirely from chocolate. “If Carlsberg Did Chocolate Bars” appeared as a giant bar of chocolate affixed to the wall of the Truman Brewery in Shoreditch on Wednesday March 23. At 12pm Carlsberg unwrapped the foil on the front of the bar to unveil a fully functioning, three-metre-deep pop-up bar, five metres wide by two metres high, containing intricate chocolate features that you’d expect to see in a traditional British pub. 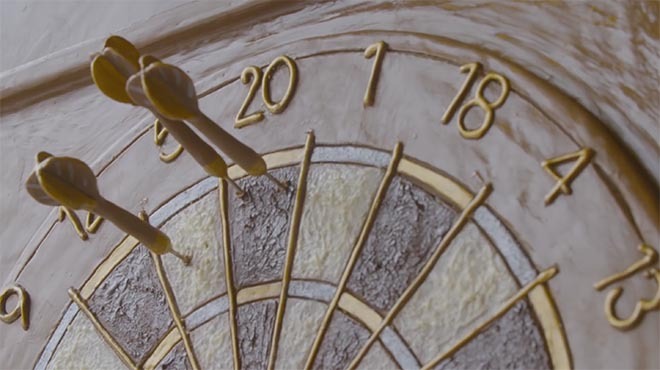 Highlights included a handcrafted chocolate dartboard, carefully constructed chocolate bar stools and a bespoke chocolate television screen, showcasing one of England’s greatest World Cup moments. 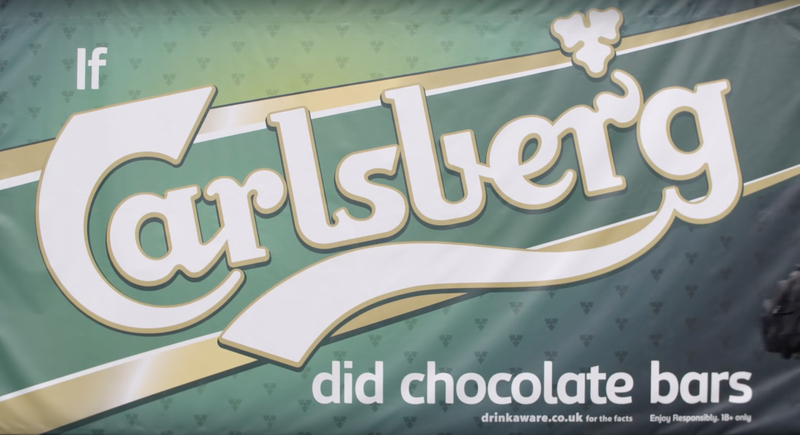 Members of the public were invited to help themselves to a complimentary half-pint of ice-cold Carlsberg, served in a bespoke Carlsberg-engraved milk chocolate glass. 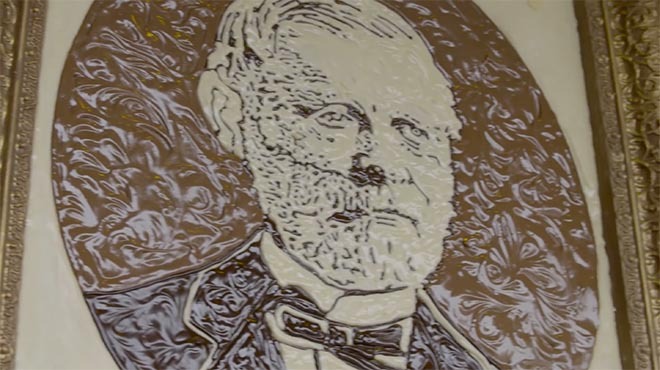 Chocolate sculptor and food artist Prudence Staite, whose work includes a life size replica of Winston Churchill made entirely out of bread, worked with the brand to design the bar, with production taking a total of three months. In total, nearly half a tonne of chocolate was required to construct the bar, and, naturally, it was entirely edible. 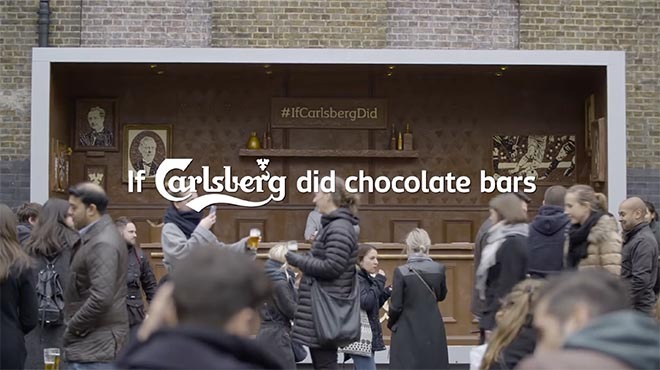 The If Carlsberg did Chocolate Bars campaign was developed at Fold7 by chief creative officer Ryan Newey, creative director John Yorke, creative Rod Elms, agency producer Bob Richmond-Watson, and account director Rani Patel. Media was handled at OMD. PR was handled by Clifford French. The Marketing Store handled social media activity. Blackjack Promotions and Talon Outdoor handled the build of the bar.